It sometimes feels like we get a lot of “record-breaking” weather. Whether it’s a heatwave in Europe or the “Angry Summer” in Australia, the past few years have seen temperature records tumble. 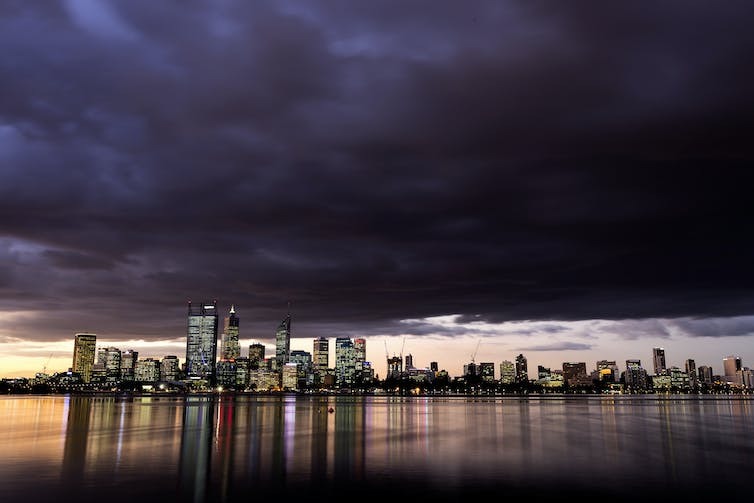 This is the case both locally – Sydney had its hottest year on record in 2016 – and globally, with the world’s hottest year in 2016 beating the record set only the year before. Some of 2016’s heat was due to the strong El Niño. But much of it can be linked to climate change too. We’re seeing more heat records and fewer cold records. In Australia there have been 12 times as many hot records as cold ones in the first 15 years of this century. If we were living in a world without climate change, we would expect temperature records to be broken less often as the observational record grows longer. After all, if you only have five previous observations for annual temperatures then a record year isn’t too surprising, but after 100 years a new record is more notable. In contrast, what we are seeing in the real world is more hot temperature records over time, rather than less. So if you think we’re seeing more record-breaking weather than we should, you’re right. In my new open-access study published in the journal Earth’s Future, I outline a method for evaluating changes in the rate at which temperature records are being broken. I also use it to quantify the role of the human influence in this change. To do it, I used climate models that represent the past and current climate with both human influences (greenhouse gas and aerosol emissions) and natural influences (solar and volcanic effects). I then compared these with models containing natural influences only. Taking the example of global annual temperature records, we see far more record hot years in the models that include the human influences on the climate than in the ones without. Crucially, only the models that include human influences can recreate the pattern of hot temperature records that were observed in reality over the past century or so. Observed and model-simulated numbers of hot and cold global annual temperature records for 1861-2005. Observed numbers of record occurrences are shown as black circles with the model-simulated record numbers under human and natural influences (red box and whiskers) and natural influences only (orange box and whiskers) also shown. The central lines in the boxes represent the median; the boxes represent interquartile range. In contrast, when we look at cold records we don’t see the same difference. This is mainly because cold records were more likely to be broken early in the temperature series when there were fewer previous data. The earliest weather data comes from the late 19th century, when there was only a weak human effect on the climate relative to today. This means that there is less difference between my two groups of models. In the models that include human influences on the climate, we see an increase in the number of global record hot years from the late 20th century onwards, whereas this increase isn’t seen in the model simulations without human influences. Major volcanic eruptions reduce the likelihood of record hot years globally in both groups of model simulations. Projecting forward to 2100 under continued high greenhouse gas emissions, we see the chance of new global records continuing to rise, so that one in every two years, on average, would be a record-breaker. 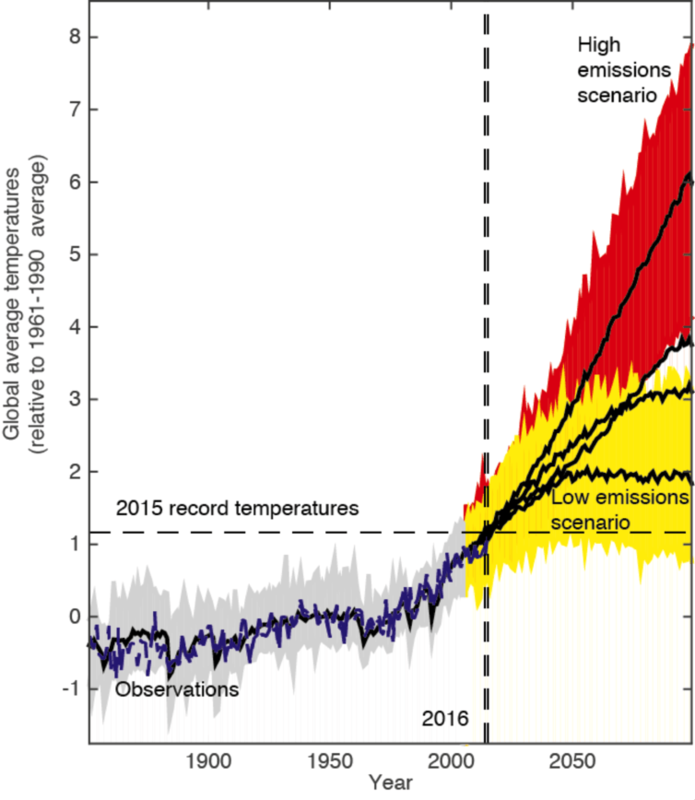 Chance of record hot global annual temperatures in climate models with human and natural influences (red) and natural influences only (orange). Grey curve shows the statistical likelihood of a new hot record each year (100% in the first year, 50% in the second year, 33% in the third year, and so on). Grey vertical bars show the timing of major volcanic eruptions through the late-19th and 20th centuries. I also looked at specific events and how much climate change has increased the likelihood of a record being broken. I used the examples of the record hot years of 2016 globally and 2014 in Central England. Both records were preceded by well over a century of temperature observations, so in a non-changing climate we would expect the chance of a record-breaking year to be less than 1%. Instead, I found that the chance of setting a new record was increased by at least a factor of 30 relative to a stationary climate, for each of these records. This increased likelihood of record-breaking can be attributed to the human influence on the climate. The fact that we’re setting so many new hot records, despite our lengthening observation record, is an indicator of climate change and it should be a concern to all of us. The increased rate at which we are getting record hot temperatures is controlled by the speed of global warming, among other factors. To meet the Paris target of keeping global warming below 2℃ we will have to reduce our greenhouse gas emissions drastically. Besides keeping average global temperatures under control, this would also reduce the chance of temperature records continuing to tumble, both globally and locally. Generation Y has grown up in a rapidly warming world. 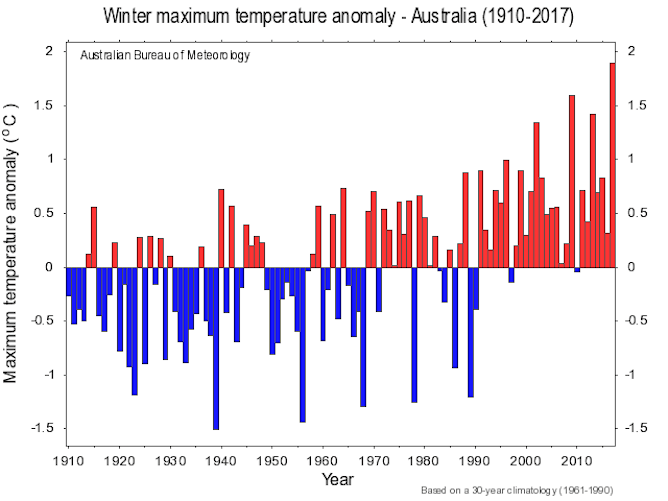 According to the US National Climate Data Centre, every month since February 1985 has seen above average global temperatures, compared with the twentieth century. I have no memories of a “normal” month. 2016 is on track to be the hottest year on record, surpassing the previous records set in 2015 and in 2014. These are just a few of the flurry of recent record temperatures, which includes Australia’s hottest day, week, month, season and year. The question now is what the future will look like. At some point in the decades to come, these record-breaking temperatures will not be rare; they will become normal. But when exactly? In a new study just released in the Bulletin of the American Meteorological Society, I (together with co-authors Andrew King and Sarah Perkins-Kirkpatrick) find that on the current greenhouse gas emissions trajectory, global temperatures like 2015 will by normal by 2030, and Australia’s record-breaking 2013 summer will likely be an average summer by 2035. While we still have time to delay some of these changes, others are already locked in – cutting emissions will make no difference – so we must also adapt to a warmer world. This should be a sobering thought as world leaders gather in Marrakech to begin work on achieving the Paris Agreement which came into force last week. The recent record-breaking temperatures have often been described as the “new normal”. For example, after the new global temperature record was set in 2016, these high temperatures were described as a new normal. What is a new normal for our climate? The term has been used broadly in the media and in scientific literature to make sense of climate change. Put simply, we should get used to extremes temperatures, because our future will be extreme. But without a precise definition, a new normal is limited and difficult to understand. If 2015 was a new normal for global temperatures, what does it mean if 2017, 2018, or 2019 are cooler? In our study we defined the new normal as the point in time when at least half the following 20 years are warmer than 2015’s record breaking global temperatures. We examined extreme temperatures in a number of state-of-the-art climate models from an international scientific initiative. We also explored how different future greenhouse gas emissions impact temperatures. We used four different greenhouse gas scenarios, known as Representative Concentration Pathways, or RCPs. 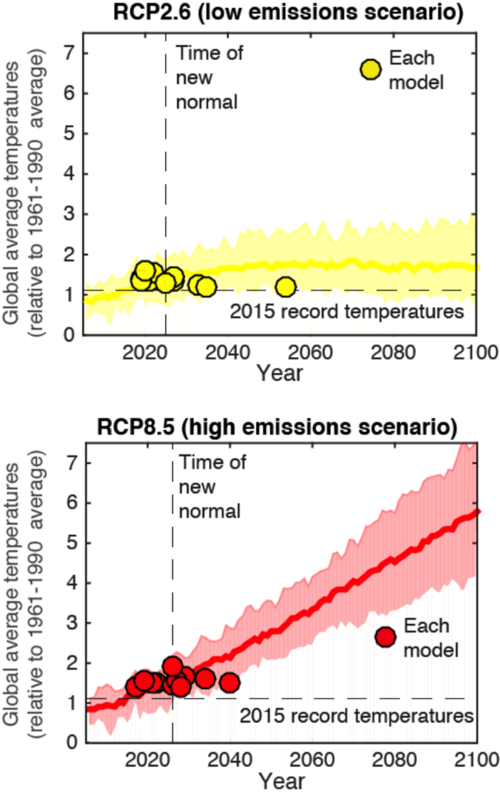 These range from a business-as-usual situation (RCP8.5) to a major cut to emissions (RCP2.6). It is worth emphasising that real-world emissions are tracking above those covered by these hypothetical storylines. 2015’s record temperatures will likely become normal between 2020 and 2030. Our findings were straightforward. 2015’s record-breaking temperatures will be the new normal between 2020 and 2030 according to most of the climate models we analysed. We expect within a decade or so that 2015’s record temperatures will likely be average or cooler than average. By 2040, 2015’s temperatures were average or cooler than average in 90% of the models. This result was unaffected by reducing greenhouse gas emissions or not – we are already locked in to a significant amount of further warming. We also looked at the timing of a new normal for different regions. Australia is a canary in the coal mine. 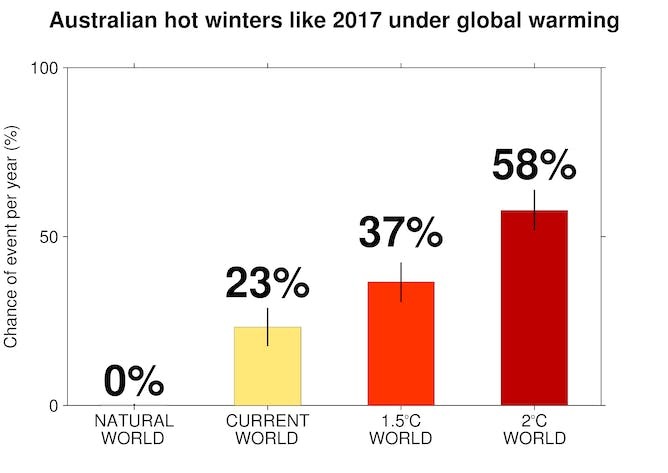 While other regions don’t see extreme temperatures become the new normal until later in the century, Australia’s record-breaking 2013 summer temperatures will be normal by 2035 – according to the majority of the models we looked at. At smaller spatial scales, such as for state-based based temperature extremes, we can likely delay record-breaking temperatures becoming the new normal by committing to significant greenhouse gas cuts. This would clearly reduce the vulnerability of locations to extreme temperatures. Cutting emissions (top) and business as usual (bottom) makes little difference to the new normal globally. If you like heading to the beach on hot days, warmer Australian summers seem appealing, not alarming. 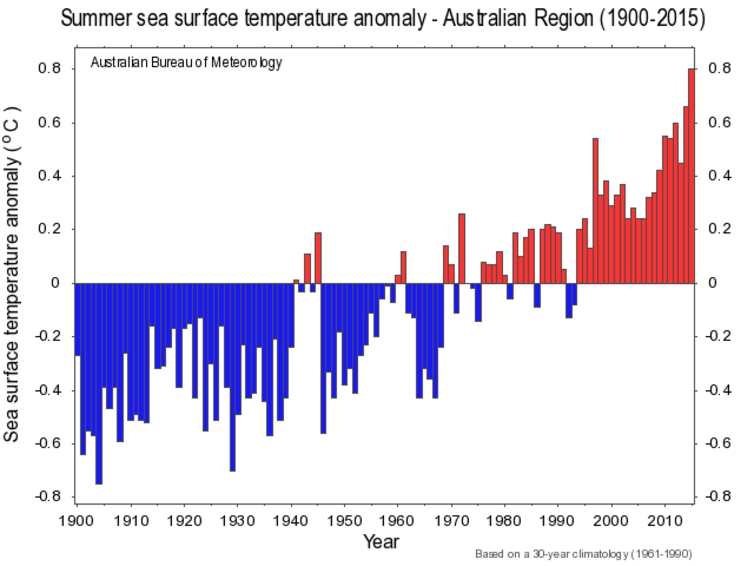 But Australia’s position as a hot spot of future extremes will have serious consequences. The 2013 summer, dubbed the “angry summer”, was characterised by extreme heatwaves, widespread bushfires and a strain on infrastructure. Our results suggest that such a summer will be relatively mild within two decades, and the hottest summers will be much more extreme. My co-authors, Andrew and Sarah, and I all grew up in a world of above-average temperatures, but our future is in a world were our recent record-breaking temperatures will be mild. Our new research shows this is not a world of more pleasantly hot summer days, but instead of increasingly severe temperature extremes. These significantly hotter summers present a challenge that we must adapt to. How will we protect ourselves from increases in excess heat deaths and increased fire danger, and our ecosystems from enhanced warming? While we have already locked ourselves into a future where 2015 will rapidly become a new normal for the globe, we can still act now to reduce our vulnerability to future extreme events occurring in our region, both through cutting emissions and preparing for increased heat.